Now is the time to tuck away your favorite corn on the cob. Think of it—you could freeze a big batch of fresh corn right now to use for Thanksgiving dinner. So much more flavorful than that frozen box in the store. Buy a few dozen ears now, cut each ear in half so they’re easier to handle, then strip the uncooked kernels off the cob and freeze them in a couple of large plastic bags. On Thanksgiving, you have the freshest corn for a side dish, or to make cornbread. 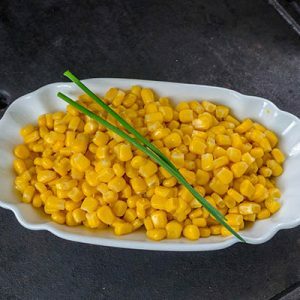 You’ll feel so good when you put out that sweet bowl of corn studded with butter.